Zeolith the lazy boy who was supposed to attend vocational school from the age of 15 at with the village's rule. At the age of 15, a vocational school knows its title and chooses a profession from among them. But the titles He obtained were only : "Title of the Highest Peak of the Human Race 【The BraveMan】", "The Strongest Ruler 【The Emperor】", "The title of the strongest magician 【The WiseMan】", "And the other one left "The lowest dislikes scums【Slave Merchant】". None of the titles that were eye-catching. He picked the lowest title 【Slave Merchant】, which is inconspicuous among them and seems to be easy to live. But, He doesn't know it yet. It's the lowest occupation but it is the strongest for him and the most annoying-tiring ones. 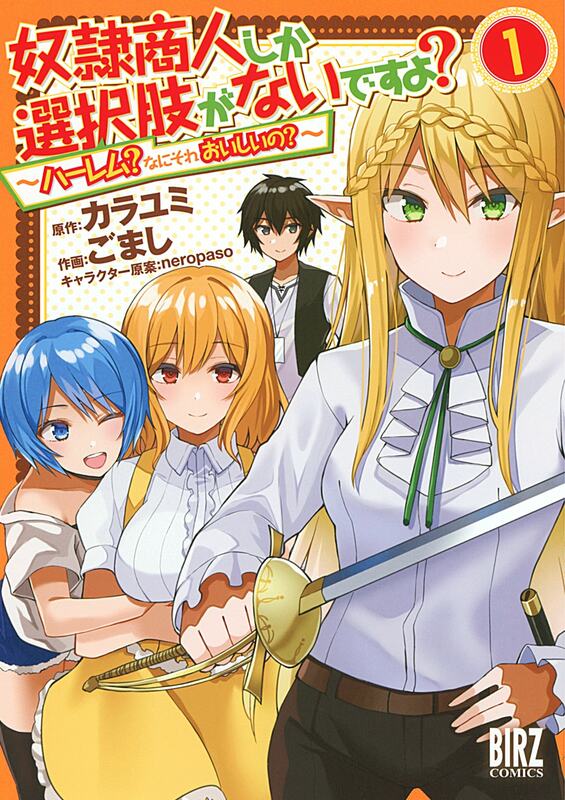 A harem struggle to be swayed by a variety of women, slutty alluring girls from elderly to younger ones who are his childhood friend's, the poisonous plantgirl, elves, cat ears adventurer, Loli Demon Lord, et cetera. This is Tale of The strongest【Slave Merchant】unwillingly makes a big success!